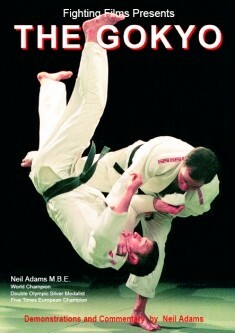 Eine super-DVD mit einem der größten Judoka der Welt - Neil Adams. Die DVD ist in deutscher (auch andere Sprachen auswählbar) Sprache. The Gokyo, as selected by the Kodokan, lies at the very heart of Judo and is studied throughout the world by beginners and black belts alike. Comprised of 40 major throws, each are demonstrated by former World Champion Neil Adams and most are followed by competition examples.